As a child, riding in the car with my parents, I would watch for landmarks when we were traveling to gauge when we got close to our destination. When traveling to my cousins, I knew once we crossed a certain bridge we were just minutes away. 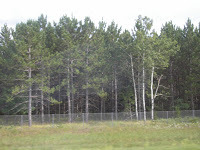 When traveling far north to some other cousins, I would watch for the trees to change and know we were getting closer. Now our children do the same thing. Reagan watches for water towers to know if we are close to home or close to another town. 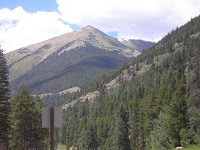 One of my favorites travel destinations is Colorado. I love, love, love driving along and then watching the mountains appear in front of us as we are driving along the highway. Recently, our family took a long weekend trip and traveled to Northern Minnesota to my cousins. Just like when I was a kid, I watched for the changing trees along the road and the numerous lakes to appear. I waited in anxious anticipation just like I did as a child….and then listened to our kids repeatedly ask, “How much farther?” So, I showed them the trees and said, “not much farther now”. I watched as the kids jumped out of the car and ran to greet their cousins just like I did as a child. I cried when they cried when it was time to leave. These relationships are so important to me and to share these family connections with our children means so much.